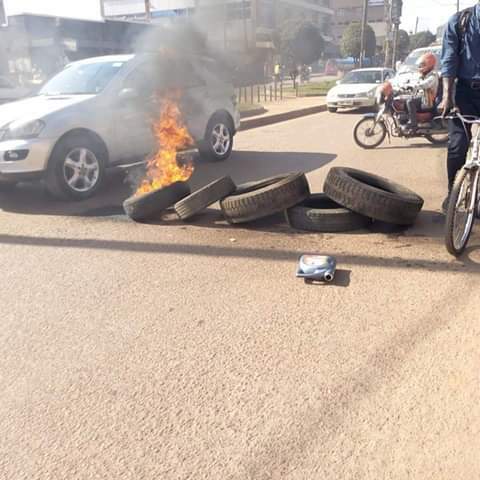 KAMWOKYA/KATWE – Protests have rocked Kamwokya, a city suburb following the blocking of Kyadondo East MP Robert Kyagulanyi aka Bobi Wine’s Boxing Day concert by Uganda Police citing failure to fulfill concert requirements. 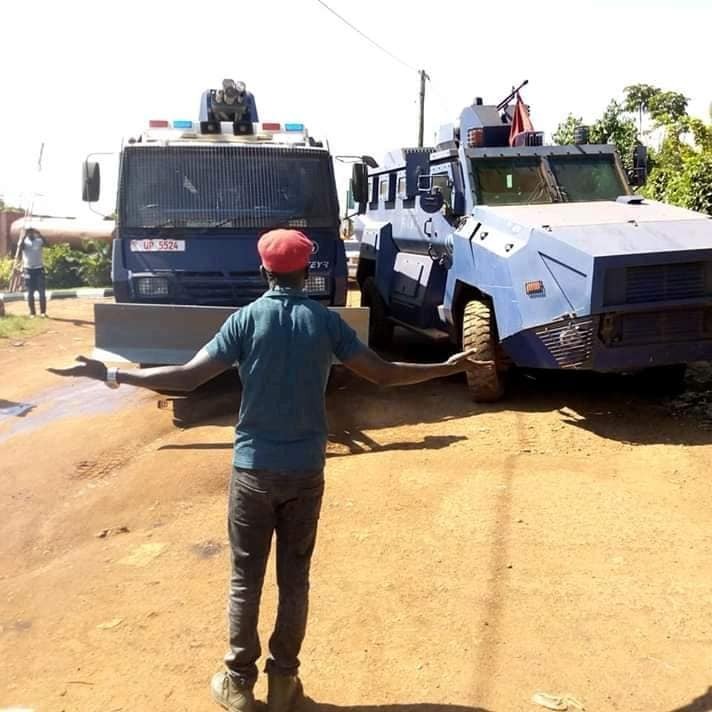 Uganda and military have so far been deployed to restore calm after the protesters started burning tyres and blocking roads. Meanwhile, Bobi Wine said government actions are forcing them to use violence. He added that “We should not forget that Parliament last week passed a resolution against these illegal and repressive actions. But that resolution is being held in contempt like they do to court orders and the very Constitution of this land!” Bobi Wine Wrote on social media. Several opposition bigwigs including Forum for Democratic Change former President Kiiza Besigye and non-government authorities have since condemned government actions saying they are uncalled for. Besigye has rebuked government for blocking Bobi Wine’s music concerts, saying the MP has done nothing wrong other than speaking the truth. Besigye also said that the government is scared of Bobi Wine for speaking the truth that is awakening Ugandans to understand the injustices under the current government. “My friend, who has started speaking some things; this young man Bobi Wine, he is only 35 and trying to build himself, now when he starts doing his music, his job is music, to make people happy, when he spoke things and people started understanding him they now can’t even allow him to sing that music; when says Kyarenga they want to kill him,” Dr Besigye said.